Located in Rome (Esquilino), Hotel Principe Di Piemonte is within a 10-minute drive of Via Nazionale and Roman Forum. 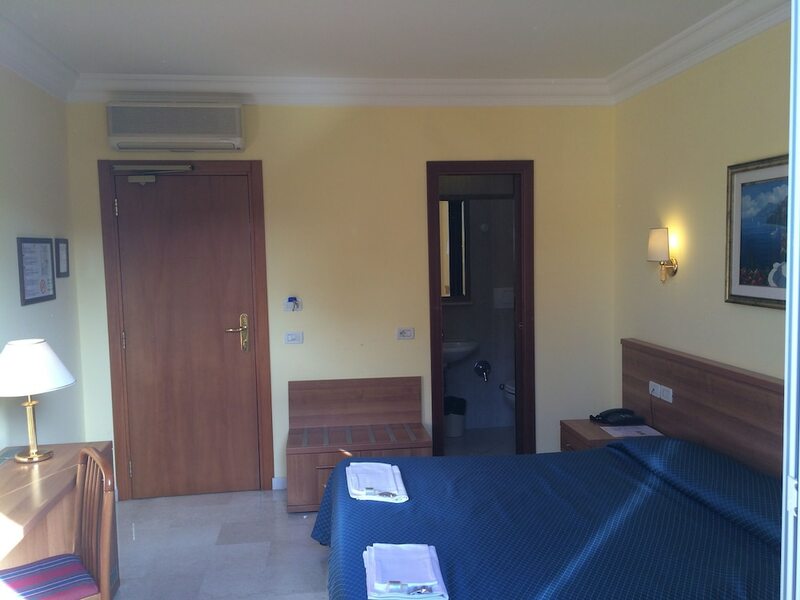 This hotel is 0.6 mi (0.9 km) from Via Marsala and 1.9 mi (3 km) from Colosseum. Make yourself at home in one of the 23 air-conditioned rooms featuring refrigerators and minibars. Flat-screen televisions are provided for your entertainment. Private bathrooms with showers feature complimentary toiletries and bidets. Conveniences include phones, as well as safes and desks. Satisfy your appetite at the hotel's coffee shop/café, or stay in and take advantage of the 24-hour room service. Wrap up your day with a drink at the bar/lounge. A complimentary continental breakfast is served daily from 7 AM to 9:30 AM.